The authors further investigated each of these issues to describe specifically what the homeowners associations claimed to be non-compliant; the potential damage, issue or concern with the non-compliance; the code allegedly violated; and the repair proposed by the homeowners associations’ experts. Needless to say, this paper is full of valuable information for any home builder, developer, contractor, architect or subcontractor who is interested in improving its risk management program. To the extent that you are already working with a third-party QA/QC provider during the design and construction phase of your projects, or are considering doing so, I think it would make sense to review this with those inspecting your projects to ensure that there is a high correlation between the items for which they are inspecting and those things that appear with the most frequency in construction defect litigation. For additional information or about construction defect litigation in Colorado, generally, you can reach David M. McLain by telephone at (303) 987-9813 or by e-mail at mclain@hhmrlaw.com. One of the 407 bills the Colorado legislature is considering as of the date of this blog post is House Bill 19-1170, the Residential Tenants Health and Safety Act, which can be found at https://leg.colorado.gov/bills/hb19-1170 and clicking on the link for the recent bill text. The bill passed the House on February 26 and is in the Senate for consideration. The bill currently adds two substantive conditions to those conditions that make a residential premises uninhabitable. One is the lack of functioning appliances that conformed to applicable law when installed and that are maintained in good working order. The second is “mold that is associated with dampness, or there is any other condition causing the premises to be damp, which condition, if not remedied, would materially interfere with the health or safety of the tenant…,” referred to here as “the mold or dampness provision.” The bill also amends various procedural provisions of Colorado law to make enforcement by a tenant easier and broadens tenant remedies. The bill grants jurisdiction to county and small claims courts to grant injunctions for breach. This article focuses on the mold or dampness provision. The mold or dampness provision is vague and will likely lead to abuse. First, there is mold everywhere. While expert witnesses routinely testify about the level of exposure that is unacceptable, no generally accepted medical standards for an unacceptable level of mold exposure currently exist, and each person reacts to mold differently. There is no requirement in the bill that mold exposure exceed levels that are generally considered harmful by experts in the field, or even in excess of naturally occurring background levels. Second, some sources estimate that there are over 100,000 different species of mold. No harmful effects have been shown for many species of mold, while other species of mold are considered harmful. It could be argued that the provision that the condition “materially interfere with the health or safety of the tenant…” provides the standard for the level of exposure and the type of mold. Unfortunately, there are wide disagreements about what level of exposure would “materially interfere” with health or safety, and what may be completely benign to the average person may interfere with the health and safety of a specific individual. More troubling, our society’s general concerns about mold have helped create a cottage industry of self-proclaimed mold experts willing to make dubious claims under oath. The medical community in general has been slow to discipline doctors that are willing to testify without any scientific support that cancer, memory loss, autism and other diseases or conditions were caused by mold exposure. The same general concerns about mold have led to the creation of several laboratories that provide mold test results of no known medical value-- for the right fee. In short, in the current climate, the limitation that the alleged mold or dampness materially interferes with the health or safety of the tenant is no limitation at all. For additional information regarding House Bill 19-1170 or about construction defect litigation in Colorado, generally, you can reach Steve by telephone at (303) 653-0044 or by e-mail at heisdorffer@hhmrlaw.com. Higgins, Hopkins, McLain & Roswell, LLC, has an immediate opening for a full time Office Clerk/Receptionist. The position requires a candidate who will enthusiastically welcome the opportunity to learn new skills and energetically assist other staff members and attorneys as a team player. The right candidate must have a professional and courteous demeanor. Office experience a plus. The purpose of this whitepaper is to bring attention to a trend in K-12 and municipal construction contracts, which expands the time periods for law suits against construction professionals. Under Colorado statute, the period of time within which a legal action for construction defects may be brought against a construction professional in Colorado is two years from when the claimant (or its predecessor in interest) discovers or in the exercise of reasonable diligence should have discovered the physical manifestations of a defect (the “Statute of Limitations”), but in no case may an action be brought more than six years after substantial completion of the improvement, unless the claim arises in the fifth or sixth year after substantial completion, in which event the action may be brought within two years of such date, i.e., up to eight years after substantial completion (the “Statute of Repose”). See C.R.S. § 13-80-104. While the triggering events differ for the Statute of Limitations and Statue of Repose, the periods are intended to run concurrently to limit the period of time an action may be brought against construction professionals for construction defects to, at most, eight years after substantial completion. Importantly, these limitations periods may be expanded by agreement. Prior to 1986, Colorado law provided for a 10-year Statute of Repose. However, in 1986, Colorado’s legislature shortened the Statute of Repose time limit to the current six (or up to eight) year period. In 1986, Colorado also redefined the date the claim arises from the date the defect was discovered or should have been discovered to the date the physical manifestation of a defect was discovered or should have been discovered. Therefore, after 1986, the two-year limitations period could begin to run when a claimant should have discovered the manifestation of a defect, even if the claimant did not recognize that a defect existed. 5. Stabilize the costs of insurance and insurance products for construction professionals. These changes have, in fact, helped to encourage the timely resolution of construction defect disputes, resulted in an efficient insurance market for commercial general liability and completed operations insurance coverage, and a competitive construction market – all of which help contribute to lower costs of construction in Colorado. In recent years,there has been a trend in K-12 construction contracts (as well as other municipal and local government construction contracts) which expands the potential liability of construction professionals beyond the current Statutes of Limitations and Repose. Several school districts have expanded the Statute of Limitations to 6 years (after discovery of the defect) and the Statute of Repose up to 16 years (or in the case of Cherry Creek, a potentially unlimited Statute of Repose period). These school districts have also changed the language of the limitation period so that it does not begin to run until actual discovery of the defect (rather than the physical manifestation), thus, reversing the changes made by the legislature in 1986. A table summarizing examples from recent K-12 construction contracts is attached as Attachment 1. Relevant excerpts from these construction contracts are attached as Attachment 2. Potential expiration of insurance coverage. Completed operations periods under most commercial general liability policies are capped at the statute of repose or ten years. Therefore, a construction professional may be left without insurance coverage against a construction defect claim brought outside that period. Destabilizing the insurance market. Longer and inconsistent limitations and repose periods destabilize the market for insurance in Colorado as insurers attempt to price the increased risk of such longer periods on a contract-by-contract basis. Prejudices construction professionals’ ability to defend themselves. Construction professionals rely on project documentation and personnel to defend against defect claims. It will be more difficult to locate project documents and personnel (witnesses) (who may no longer be available or remember the project) to defend lawsuits filed up to 16 years or longer after substantial completion of a project. Construction professionals are more likely to be blamed for improper maintenance. Construction professionals may face claims for issues which are, in reality, caused by improper or inadequate maintenance. The passage of time increases the difficulty in distinguishing between damages caused by improper maintenance versus improper construction. Unfair to allow claimants to sit on their claims. A longer Statute of Limitations period means a claimant can sit on its hands and wait to bring an issue to the attention of a construction professional for up to six years after the claimant became aware of the issue, which runs counter to the public and industry interests in timely investigating and resolving problems. Any actions against the Contractor, its subcontractors, suppliers, or others providing materials or services for the Project, brought to recover damages for injury to person, damage to property (including loss or damage to property on the Project itself), or defects in materials caused by the design, manufacture, supplying, planning, supervision, inspection, construction, or observation of construction of the Project shall be brought within six (6) years after such claim for relief arises and the nature and extent are fully discovered. In no case shall such an action be brought more than ten (10) years after the date of final completion and acceptance of the Project; provided, however, that in any case where the cause of action arises during the tenth year, such action shall be brought within six (6) years after such cause of action arises and the nature and extent are fully discovered by the Owner. Short form contract - 10.2 Limitation of Actions - Any actions against the CM/GC, his employees or agents brought to recover damages for injury to person or defects in or damage to property, including the Work itself, caused by the administration, superintendence or efforts of the CM/GC or those under his control relating to this Project shall be brought within six (6) years after such claim for relief arises and is discovered by the Owner. 53.01 Any actions against the Contractor, his subcontractors, suppliers or others providing materials or services for the project, brought to recover damages for injury to person, damage to property or defects in materials caused by the design, manufacture, supplying, planning, supervision, inspection, construction or observation of construction of the project shall be brought within six (6) years after such claim for relief arises and the nature and extent are fully discovered. In no case shall such an action be brought more than fifteen (15) years after the final completion and acceptance of the project. Notwithstanding any other provision of these General Conditions, the statute of limitations for the filing of any and all claims arising pursuant to the Work and Contract Documents shall be six (6) years from the date of Substantial Completion as defined in subparagraph 8.1.3 or the date of discovery of the claim, whichever is later, or such longer period as may be permitted by law. 13.7.1 Add the following to the end of the first sentence of the Paragraph: or the Date of Actual Knowledge of the Cause or Claim by the Owner, whichever is later. Any actions against the Contractor, its subcontractors, suppliers, or others providing materials or services for the project, brought to recover damages for injury to person, damage to property (including loss or damage to property on the project itself), or defects in materials caused by the design, manufacture, supplying, planning, supervision, inspection, construction, or observation of construction of the project shall be brought within six (6) years after such claim for relief arises and the nature and extent are fully discovered. In no case shall such an action be brought more than ten (l0) years after the final completion and acceptance of the project; provided, however, that in any case where the cause of action arises during the tenth year, such action shall be brought within six (6) years after such cause of action arises and the nature and extent are fully discovered by the Owner. Any actions against the Contractor, its subcontractors, suppliers, or others providing materials or services for the Project, brought to recover damages for injury to person, damage to property (including loss or damage to property on the Project itself), or defects in materials caused by the design, manufacture, supplying, planning, supervision, inspection, construction, or observation of construction of the Project shall be brought within six (6) years after such claim for relief arises and the nature and extent are fully discovered. In no case shall such an action be brought more than eight (8) years after the date of final completion and acceptance of the Project; provided, however, that in any case where the cause of-action arises during the fifth or sixth year, such action shall be brought within two (6) years after such cause of action arises and the nature and extent are fully discovered by the Owner. This whitepaper comes from Henry Bangert and our friends at Beltzer Bangert & Gunnell, LLP. 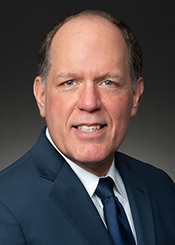 Higgins, Hopkins, McLain & Roswell is pleased to announce that Steve Heisdorffer has joined the firm as Special Counsel. Steve joins the firm after having been a partner at Godin & Baity, LLC for the last twenty-five years. Mr. Heisdorffer represents construction professionals in construction defect disputes and advises them regarding risk mitigation and transfer. Mr. Heisdorffer is an experienced trial lawyer that has tried commercial disputes and construction defect cases in arbitration forums and courts over the last 28 years. In addition, he has successfully represented large and small companies in commercial disputes, including computer software performance and intellectual property disputes, taking several to trial. Steve has also acted as a counselor to technology companies. Steve has expertise drafting and negotiating development agreements, distributor agreements, license agreements, and service agreements for his technology clients. Mr. Heisdorffer graduated with high honors from both the University of Northern Iowa and University of Iowa, College of Law and is an AV ® Preeminent™ Peer Review Rated attorney by Martindale-Hubbell and has presented to a variety of trade groups including technology, construction, and insurance industries. You can reach Steve Heisdorffer by e-mail at heisdorffer@hhmrlaw.com or by telephone at (303) 653-0044.